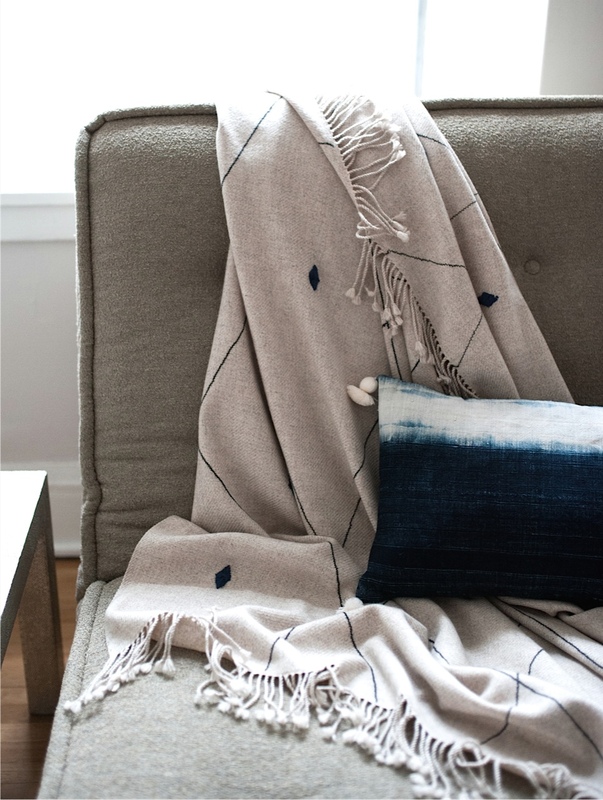 Inspired by traditional Moroccan rugs, this oatmeal melange throw is stitched with charcoal wool in a linear diamond pattern. Smaller diamond shapes are then hand-embroidered with either Dark Indigo or Magenta yarn. Exotic! Pillow by SpringFinn&Co.